Lowboy 2007 AQHA Bay Gelding. Lowboy is a great sized little gelding. He is the size anyone can get on, is tailor made and very cute. Lowboy has been used on the ranch his whole career and loves it. He is a really fun little horse with a lot of training both in the arena and outside. 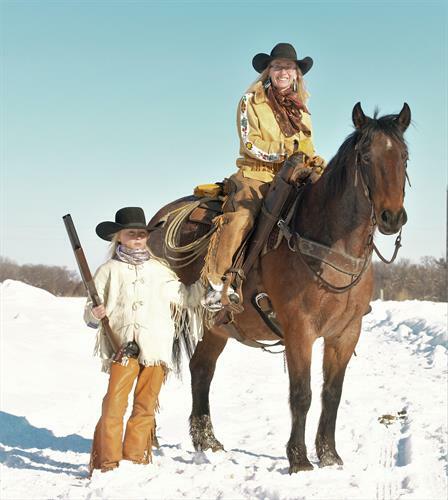 He works cattle and carries us through calving, he marches right through anything and will take you wherever you would like to go.·We shoot guns from his back too. 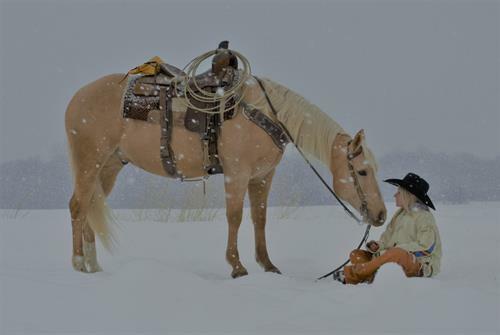 Remi 2014 AQHA Palomino Gelding. Remi has that big soft kind eye that we all love, and he definitely has a heart of pure gold. He is extremely well trained, but honestly when a horse has a mind like his the training pretty much does itself. He collects and carries his head perfectly. He is soft in the face and sides. He has the perfect feel. 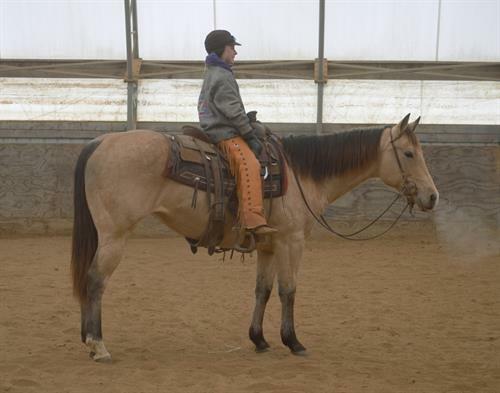 Thor 2012 AQHA Gray Gelding. 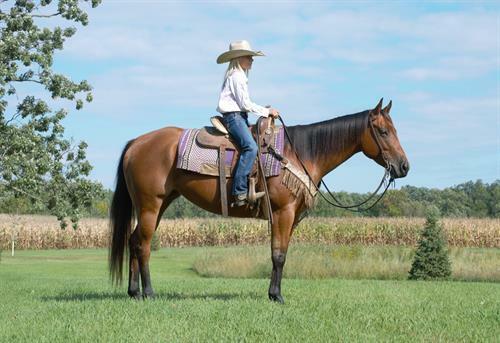 Thor is a steady type of ranch and trail gelding that is very pretty. He is very well trained and a fun horse to ride. Thor has had a lot of time spent softening his face and sides. He yields very well from pressure and has a great feel in his face, head and neck. 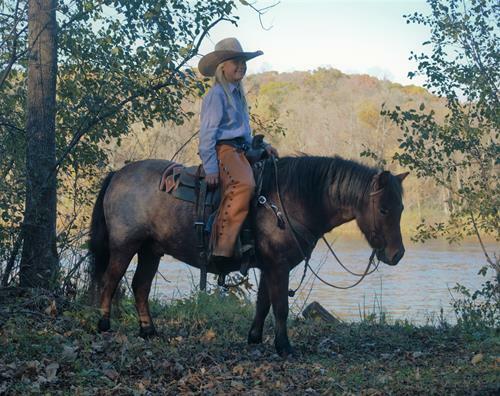 Thor is the type of horse that is very enjoyable to saddle up and go for a ride on. We have spent many hours riding outside on him. Jackson 2013 AQHA Gray Gelding. Jackson is as pretty a gray gelding as you have ever seen. He is an extremely kind and gentle feller with such a good outlook on life. Jackson is friendly and will come over to the fence to see you. Jackson is very well trained, he has a lot of time spent working on his collection and body language. He travels exceptionally well and is smooth. Jackson is easy to ride and a lot of fun. 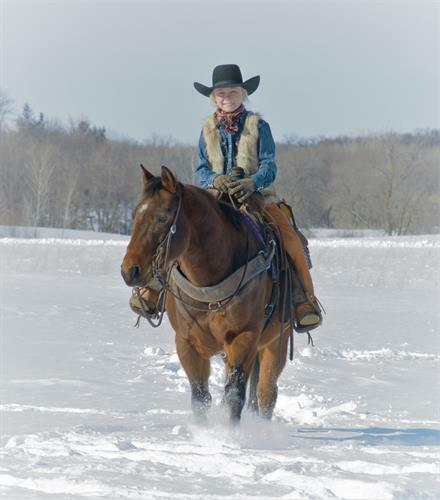 Big Sky 13 yr old Bay Roan Crossbred Gelding. If my Grandmother ever comes to your ranch to ride a horse I would ask that you put on a horse like Big Sky. This gentle feller has a 110% heart of gold. My wife, Jill is physically disabled, she has a neurological disorder called Primary Lateral Sclerosis, so she needs a horse that will not make a mistake Big Sky has been that horse for her. She has ridden Big Sky everywhere and everything about him. Little Lucky Tiger 2012 AQHA Buckskin Mare This is Lucky, Lucky is a very beautiful buckskin mare that has everything going for her. She is just the right size standing about 14.3 hands, she has the shiniest buckskin color coat, even in the winter she just glows! Lucky has straight legs and very good feet, she has a very pretty head and a beautiful mane and tail. Chick Dubois 2013 AQHA Bay Mare. Chick is exactly what your looking for if you are wanting a barrel horse prospect. She is a OWN daughter of The 6666 good stallion, Eyesa Special who has just short or $1,400,000 in race track earnings. On the bottom side she is by an own daughter of the NCHA money earner of over $38,000 Mr Sun O Lena. 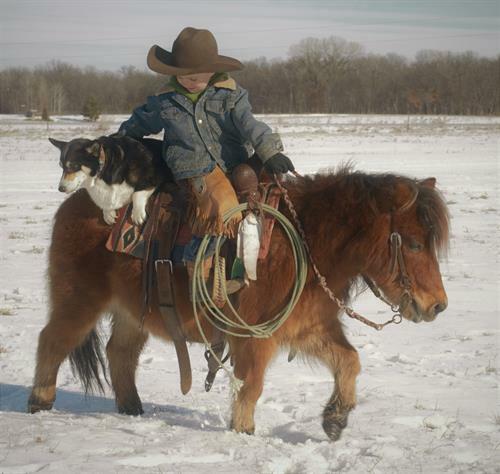 Moses is the type of pony that every kid in the world should get to ride. He stands 11 hands tall. He doesn't stand there and wait for you to go catch him, he comes to meet you, he is the kindest and most personable little horse in the world. He is so gentle and friendly that is hard not to bring him in the house with us at night. The kids saddle him and bridle him themselves and off they go, and we have never wasted a second worry about them with Moses.